I don't know about you, but we are down to our last few home-grown tomatoes, having benefited from a good greenhouse harvest this year. Some went to make tomato sauce to go with our home-made pasta and the rest have been making up our summer salads, taken straight from the vine to join home-grown lettuce, peppers, onions and cucumbers. Luckily, we have not had to store many of our tomatoes in the fridge! I say, luckily, because a report out this week says that if you store your tomatoes in the fridge you might want to do your tastebuds a favour and think again. 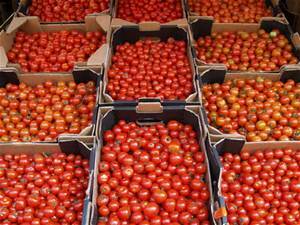 It seems that keeping tomatoes in a cold temperature, anything below 12'C washes out flavour, scientists say. 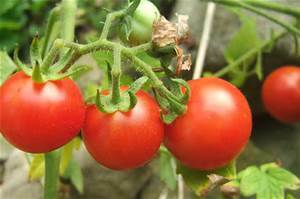 They found it hampers the enzymes that help develop the taste, meaning that while tomatoes kept in cold storage may look red and juicy, they are likely to be insipid. The discovery by American academics, goes some way to explain why a sun-ripened tomato from a market stall in Spain or Italy tastes so much better than those on supermarket shelves. The same can be said of my home-grown fruits that never see the inside of a fridge. The research demonstrates the value of growing your own and eating them straight from the vine. And you don't need a greenhouse! My daughter grows her cherry tomatoes in pots in her backyard in the middle of Birmingham! Increasingly, farmers and wholesalers use fridges to extend the shelf life of fruit in an effort to boost profits and reduce waste. Cold storage and using certain gas compounds can effectively halt the ripening process. But the US research suggests this comes with a downside in terms of flavour. The team stored a variety of tomatoes at 5'C for one, three and seven days and then they were transferred to 20'C for one or three days, which should re-start ripening. They measured the compounds associated with flavour and found these were reduced by 65% when tomatoes were chilled for seven days. Significantly, these key compounds did not return to a normal level after three days of recovery at a higher room temperature. 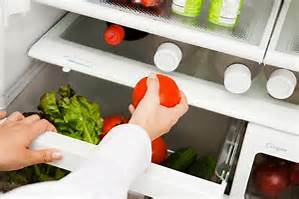 It seems likely the same will apply to many other fruit and vegetables put in the fridge in the home. More likely than not, the tomatoes you buy at the supermarket have already been stored in a cold room and so have already lost their flavour before you even get them home. That's the price we pay these days for convenience. Alternatively, only buy locally grown greenhouse tomatoes from a farmer's market or locally supplied greengrocer, if you can find one, and don't store them in the fridge!